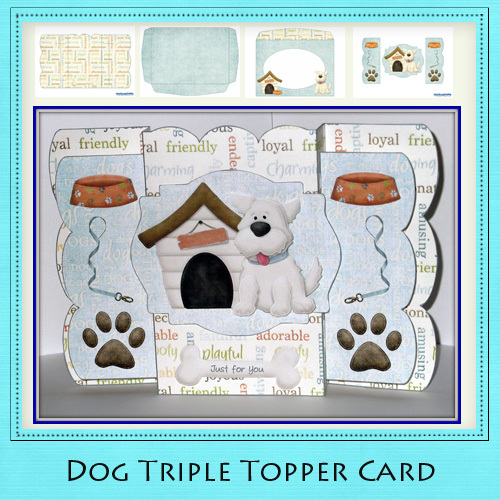 This cute pup is from the Dog Triple Topper Card Kit from the Paper Creator store. The kit is being retired soon and is now on sale for only .71 USD. And you can save another 20% off your order by entering code DELORIS. I printed all the pieces then cut them out with a craft knife and KAI paper scissors. Distressed all the edges with a marker. Then I added the decoupage layers (a extra dog bone layer with the saying "Just for you" and 4 layers to the pup). Enlarged one of the dog bowls in my Microsoft Paint software. Printed and cut it out to add to card front. 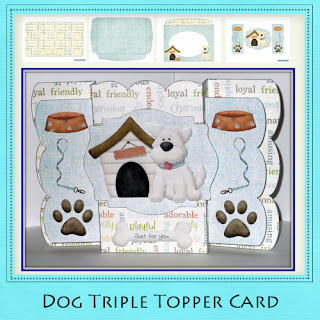 What a cute doggie card... If only those toppers don't take so much colored ink, LOL! I would love to buy them but I would have to owning a ink company. LOL! 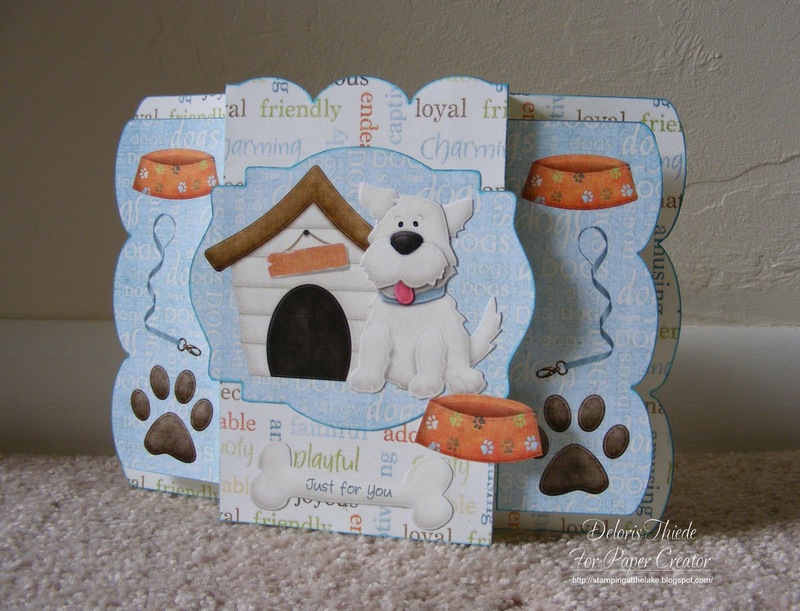 A fabulous card Deloris, he's such a cute dog. Awww this looks like my little Taibo!!! Love that cute face on that puppy! Love your charming card! Thank you for joining our fun at ABC Challenge. Good luck and please join us again! Very cute. Thanks for joining us at ABC Challenges.